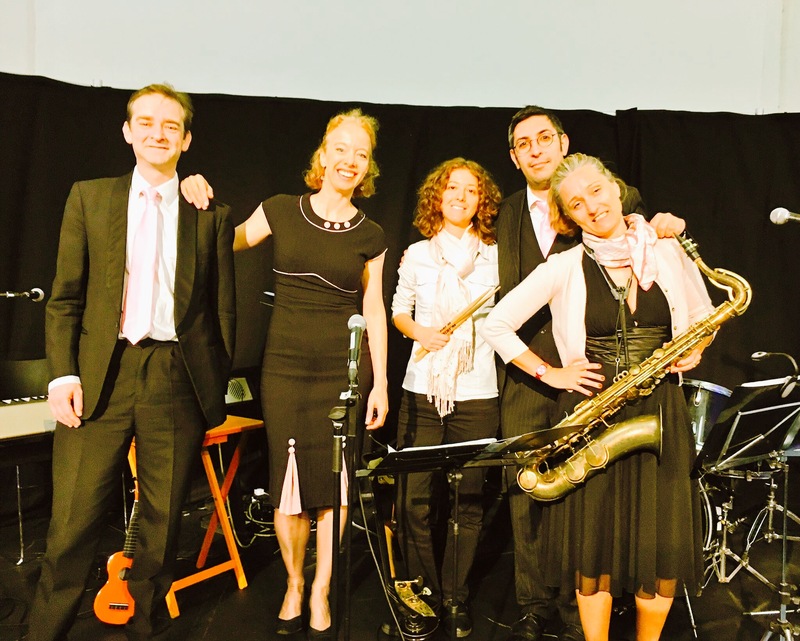 Airlie Scott's Pronto Jazz | Putting the swing in your event! Putting the swing in your event! If you’re looking for a jazz singer or a jazz band with heart, soul and great swing, you’ve come to the right place. The home of a couple of great swing bands, led by band leader and vocalist Airlie Scott, let us help you find what you’re looking for. 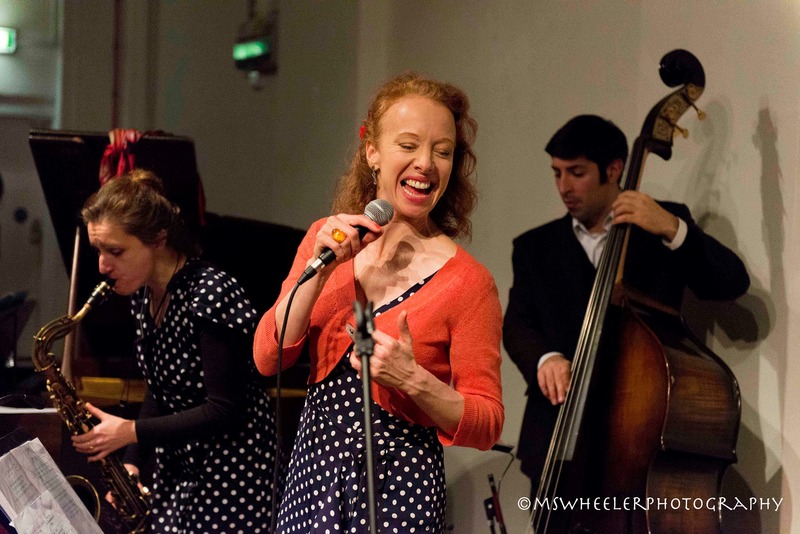 Airlie Scott and her various bands and line-ups play for lindihop, swing and balboa dance events, for functions, birthdays/weddings, at prestigious clubs, and regularly at London jazz clubs such as the Bull’s Head Barnes and more. 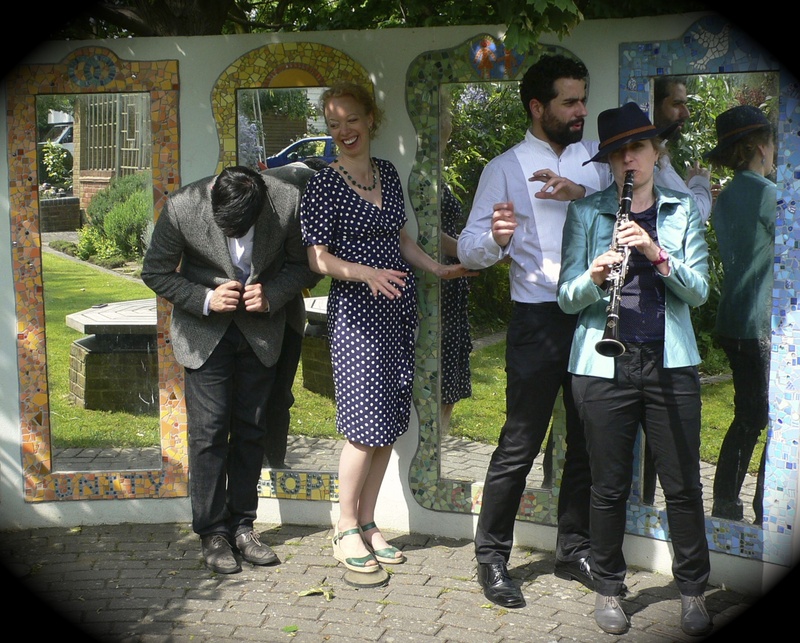 Pronto Jazz, a vocal-led jazz band based in London with its heart in 40-60s jazz and swing, spiced up with soulful ballads, groovy latin standards, and just a hint of Italy! Pronto Swing is our more vintage swing cousin, also vocal-led with a slightly earlier 30s-50s repertoire, a love of the American songbook, swing standards and the perfect vintage grooves for swing and lindyhop dancers. We’ve recently been performing at the Edinburgh Fringe Festival with our popular family show “Swing from the Movies” more info here, and do get in touch if you’d like to book us to play for you! 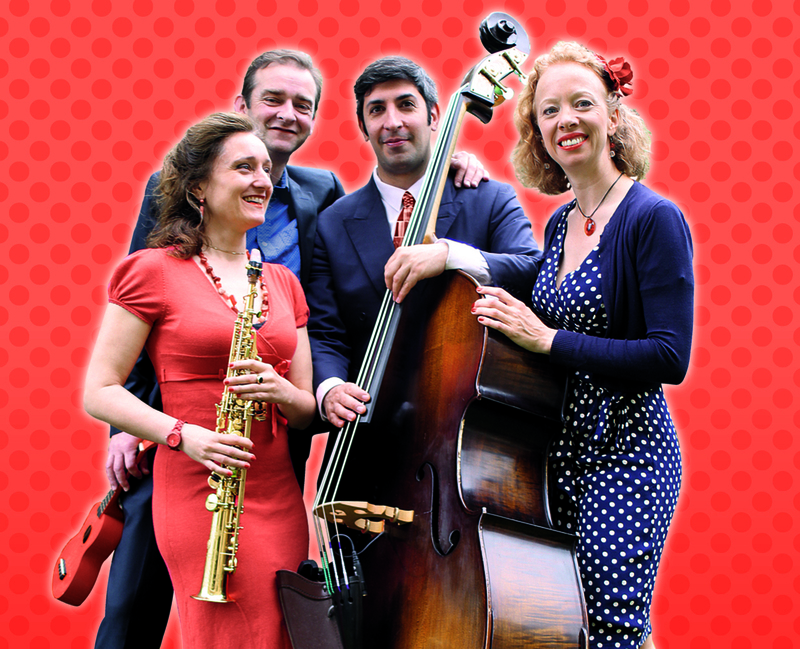 The Hot Jazz Vagabonds Established London-based vagabond jazz musicians present a hot jazz sandwich of french chanson, gypsy jazz tunes, early swing, Latin tunes and exciting originals, led by vocalist Airlie Scott. Our usual line-up includes the wonderful improvising cellist Shirley Smart, and fabulous guitarists Peter Michaels and David Ahmed on guitar. See here for more info. We specialise in providing sophisticated jazz music for events, gigs and more. Let us put the swing in your event! Whether it be dance event, restaurant gig, office party, wedding reception or special birthday, let us add that extra something! Here’s our latest Pronto Swing promo video, made at a special dance night at the Bedford, Balham hosted by Swingland.com. Pronto Jazz Promo from Oliver Parkin on Vimeo. We play music made famous by Ella Fitzgerald, Frank Sinatra, Jamie Cullum, Michael Buble, Doris Day, Harry Connick Junior, Nina Simone, Antonio Carlos Jobim, Van Morrison, James Taylor and many more….Listen here. See a list of some of our repertoire here. Airlie Scott's Pronto Swing Band from Gulab Chaggar on Vimeo. Beat the Winter blues – let pronto put Spring in your step!